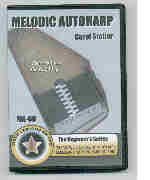 A collection of 25 traditional melodies written in standard music notation as well as autoharp tablature. Accompaniment chords are indicated. The melody-playing techniques used are explained here in detail. Also included is a professional performance CD. This collection of 35 Celtic tunes represents ten different performance styles from Ireland, Scotland, Wales and Brittany. The majority of these pieces are dance tunes such as the jigs and reels popular at Irish sessions, the informal gatherings of musicians in pubs, community halls, and homes.